Byron, Georgia is a sweet place to spend time outdoors. Whether you choose to drop a line in the water to try to hook the “big one,” go trail running, play golf or play ball, you can have bushels of fun in Byron. 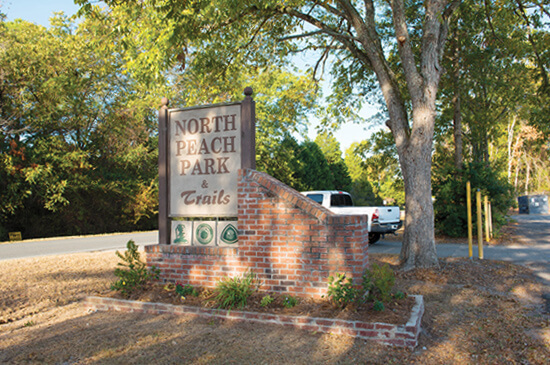 North Peach Park in Byron has much to offer including four lighted tennis courts allowing for night games, a paved volleyball court, two full basketball courts, two soccer fields (one of which is lighted), and much more. The Flat Creek Public Fishing Area, 10 miles south of Byron, offers a boat ramp, bank access, picnic tables and restrooms on a 100-acre fishing lake with bass, bream and catfish. It’s a great place to spend a day relaxing on the water. 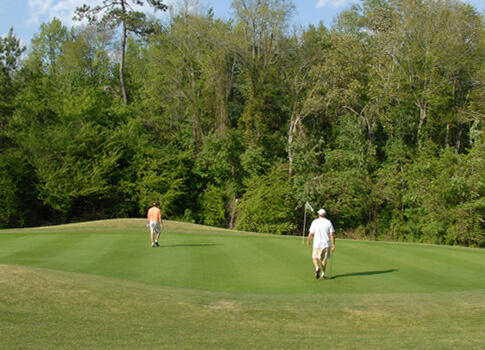 Pine Needles Country Club in Fort Valley, Georgia, which offers a regulation 9-hole golf course, driving range, putting green, and banquet hall. Pine Needles Golf Country Club is a great course for golfers of all ages and skill levels and one of the best values around. The Piedmont National Wildlife Refuge, located about 25 miles north of Byron, totals 35,000 acres and offers hunting, fishing and mile after mile of hiking trails. About 35 miles north of Byron are two Georgia state parks, High Falls and Indian Springs, both of which offer opportunities for fishing, camping, hiking, bird watching, swimming, and other activities.